Floyd Hartford wasn’t sure what he’d found when he pulled a stack of cards from a trunk of old papers. It turns out it was worth $62,000. 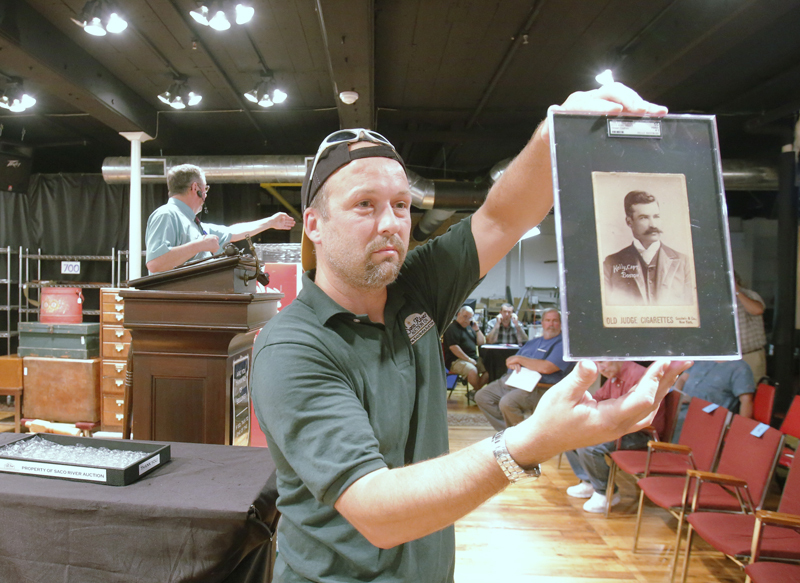 BIDDEFORD — An anonymous baseball card collector who lives somewhere in the Southeast scored Wednesday night with the winning bid of more than $60,000 for a rare 1888 card of Michael “King” Kelly. The card, one of only four known to exist, sold at auction for $62,000. 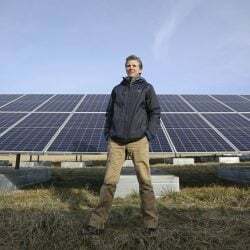 With a buyer’s premium added, the total cost was $71,200, said Floyd Hartford, the auctioneer and part-owner of Saco River Auction in Biddeford. While more than 300 items went up for sale in Wednesday night’s auction, many of the 250 people who filled the basement of the North Dam Mill came to bid on or witness the sale of the King Kelly card. The oversized card was found by an antiques picker from Kennebunk, who asked not to be identified. The card was one of seven Old Judge Cigarettes cabinet cards, showing players from the 1888 Boston Beaneaters baseball team, that were auctioned Wednesday night. The Beaneaters went on to become the Boston Braves and, eventually, the Atlanta Braves. The seven cards fetched bids totaling $102,000, according to Saco River Auction. 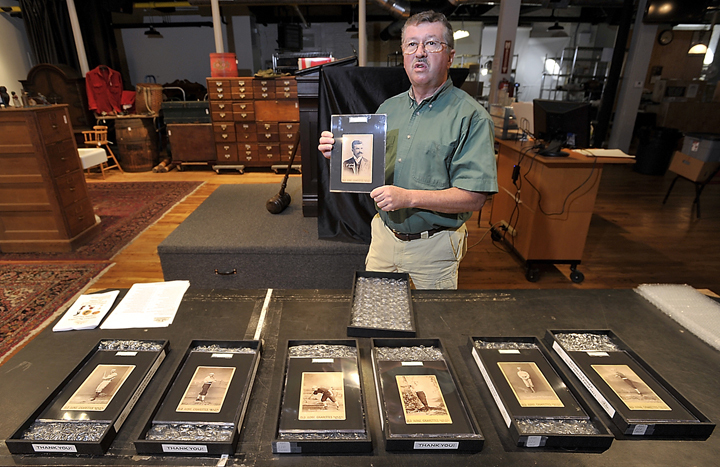 Hartford said competition for the cards, which went to several bidders including a collector from Portland, was fierce. There were more than 1,000 Internet-based buyers and 12 pre-screened buyers who could make bids through a phone bank. A hush fell over the audience as the baseball card collection was brought to the lectern. The King Kelly card is especially rare because it shows the catcher and right fielder in street clothes, a pose that wasn’t popular with baseball fans at the time. Kelly, who was elected to the Baseball Hall of Fame in 1945, was the first catcher to wear a glove and a chest protector. He was considered to be the first celebrity pro athlete. 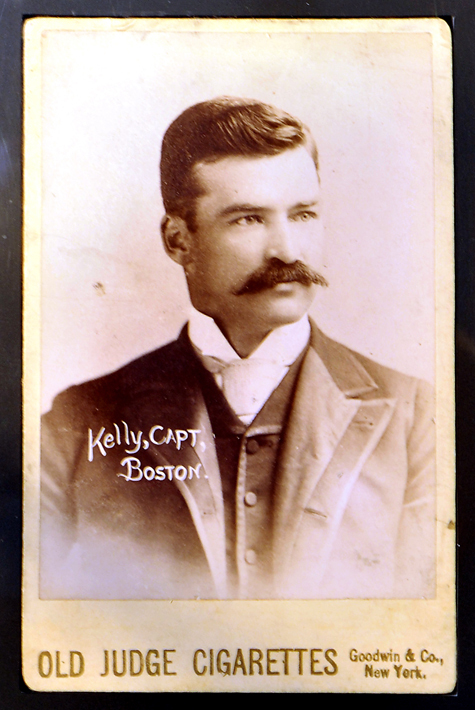 A King Kelly card with the same pose but lower quality sold for $72,000 in a private sale five years ago. “This is the rarest of the rare and it was found in Maine,” Hartford said. “It reminds me of Wall Street over there,” he said, gesturing toward a table where operators took telephone bids from as far away as Canada and California. 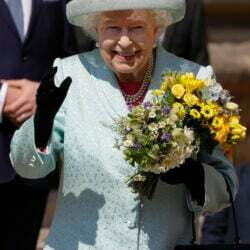 The bidding started low, but after a few minutes it became apparent that the buyer would have to put down a lot of cash. “Last call,” Hartford said when the bid for $62,000 came in through the phone bank. “I’ve never been to anything like this before. I thought it was great, very exciting,” said Frank Pote of Cumberland, who did not bid on the cards. Donald Hontz, the former owner of Don’s Card Shop in Portland, bid on three baseball cards. He was successful only with his $2,900 bid for the 1888 Pop Smith baseball card. Smith was an outfielder with the Beaneaters. Hontz tried to get cards showing John Clarkson, a Hall of Fame pitcher, and Billy Nash, an outfielder, but lost out to bids of $6,900 and $3,800, respectively. “There were some heavy hitters out there tonight,” he said. Hontz said he thought the buyer of the King Kelly card overpaid. “I thought maybe $20,000 or $30,000. But it is a scarce card and he is in a rare pose,” Hontz said. Hartford said most buyers ask to remain anonymous. They tend to sit on their card collections for 30 or 40 years, or until financial pressures force them to sell. “We probably won’t see that King Kelly card again,” he said.